Werra | Leave Me Here.. 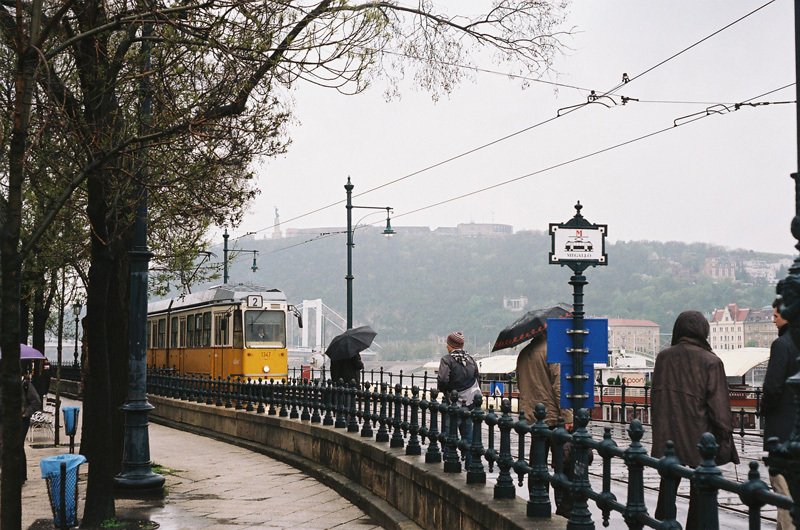 This post is more for the Camera aficionado’s that may be reading, but a few months ago whilst in Budapest, in a dusty little old camera store, I was lucky enough to stumble across a Werra. Named after a river near the factory it was produced, in a nutshell, the Werra’s history is that it was the only actual camera to ever be produced by Carl Zeiss Jena, which until then, and still to this day, remains a household name to camera enthusiasts, renowned for their supreme and elegant lens’s. 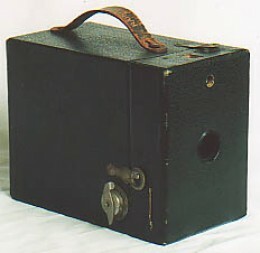 The uniqueness of the Werra wasn’t only limited to its manufacturer, but also to its film advanced mechanism which was engaged by twisting the ring around the lens! This camera is just soo kool, I sat there looking at it for a couple of days before I even put a roll through. The design was just way ahead of its time, for mid 1950’s, I cant think of another camera that is as streamlined or stylish as the Werra. Even now, 60 years later on, it still holds its own. Over its short production life, there were a number of variations including Werra’s with selenium light meters, range-finder versions, and interchangeable lenses – mine (pictured) however was the first, and absent of all these additions. In general I found the Werra a bit fiddly to use. As stated above (no light-meter / non range-finder version), focusing is limited to guessing against the inscriptions on the lens, and composition is constantly off due the whole common parallax/viewpoint displacement thing. No light-meter means you will need to carry one separately, or embrace the Sunny 16 rule. As the shutter speed and aperture controls are both located on the lens barrel too, along with the focus, all 3 tend to move when you try to change only one, which add’s to its fiddly-ness. My film advance ring also felt a bit ‘stiff’ (acceptable after 60 years life), it worked well enough but I was a bit worried the next turn was going to snap the film. 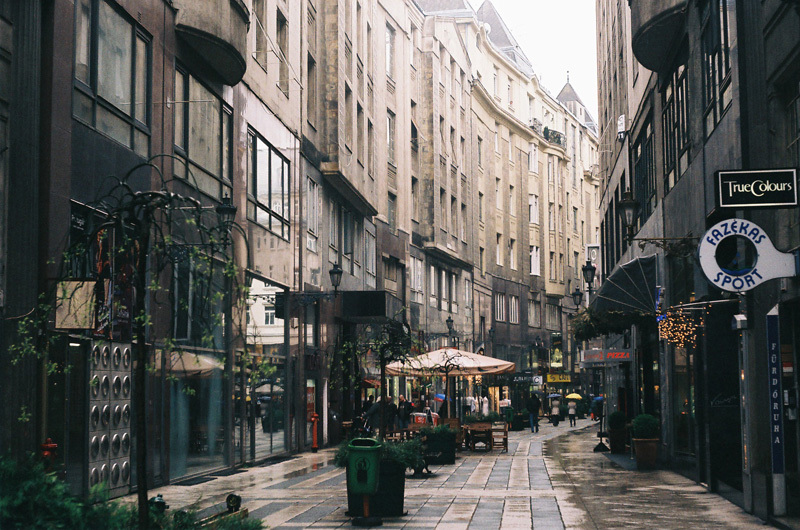 Location: Budapest, Hungary. April 2010. This was composed alot better through the viewfinder, honest. This was the first, and probably the only roll I’ll ever put through my Werra. 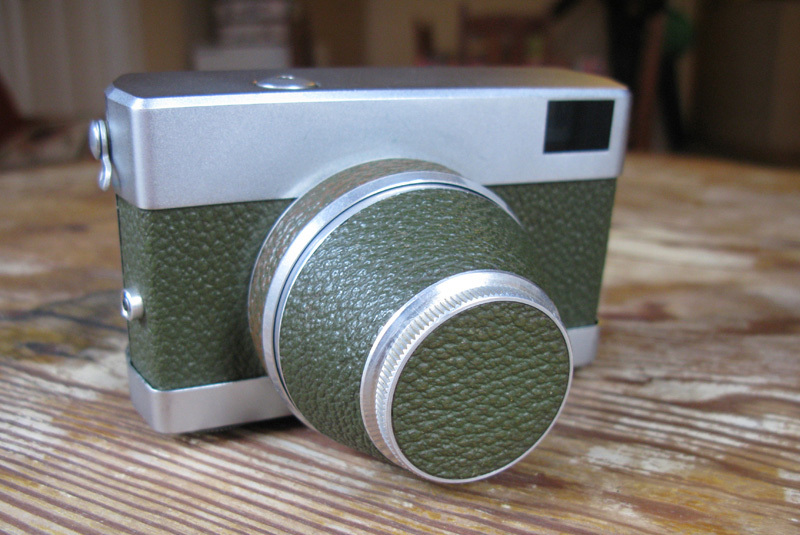 Overall, the Werra is a beautiful camera, and I love it, but more to look at than to use. Kind of like your Mum’s crystal vase’s, know what I mean. If the Werra interests you this site and this one have some more good info, and if your lucky, you might still be able to find one on a dusty camera store shelf near you. Looks like a useful camera. Nice shots. I have a broken one of these in my loft! I like Hayley Paramore’s jacket. Are you in Egypt now or what? haha. You’ll have to bring all these broken cams back to M-Town ’11. I was soo close to getting a Polaroid Land 360 the other day in Athens, it was just too expensive though. 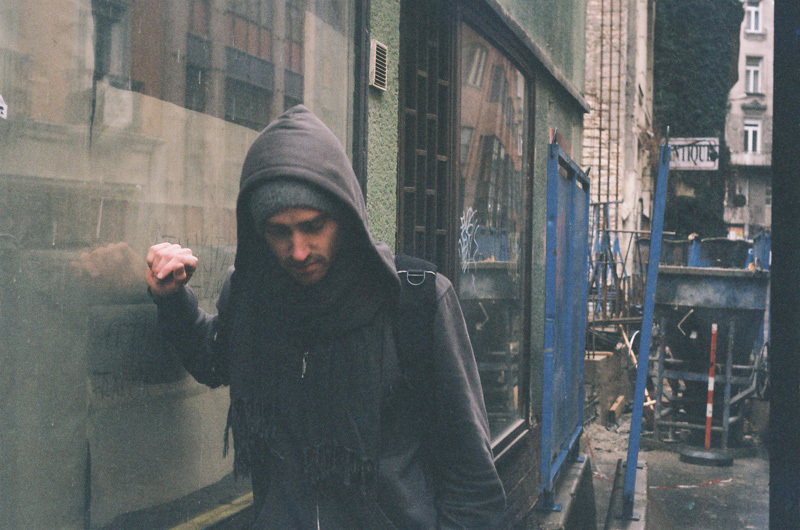 Nice pictures, very moody, and a neat little camera. I love how it looks. That is a great looking camera and definitely a collector’s item. I am very surprised at how well the pictures came out, especially since it is such an old camera. Congrats on such a nice find! Congrats on the camera. Nice photos you’ve / the Werra has taken. ! Wow, that little camera took those pictures? Not bad. And also I have to add, the camera gives your pictures a 70’s feel. Love the optical illusion on shots 2-4. The wood grain on the table makes the picture appear to taper slightly on the right hand side. I thought you had found a way to shape the photo you had inserted in the blog. Lovely article as well expressing your fondness for the design and camera while also clearly communicating a degree of frustration. 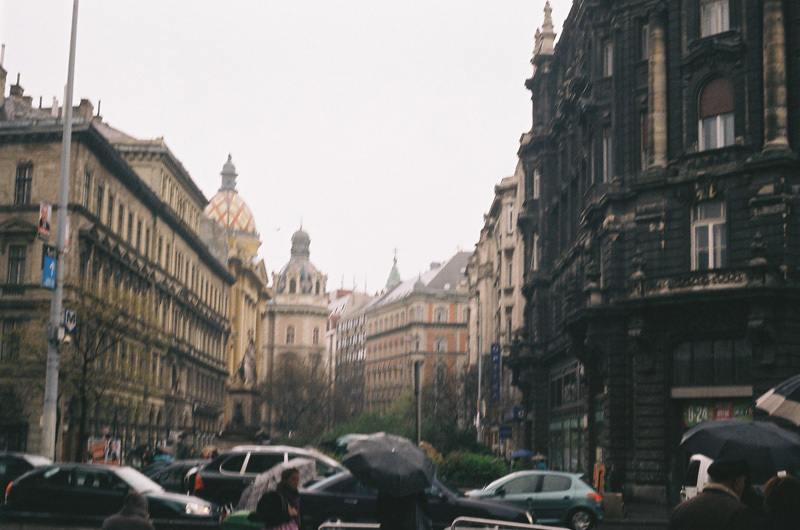 I was in Budapest just last week and it looked just like your shots (but a few degrees warmer). 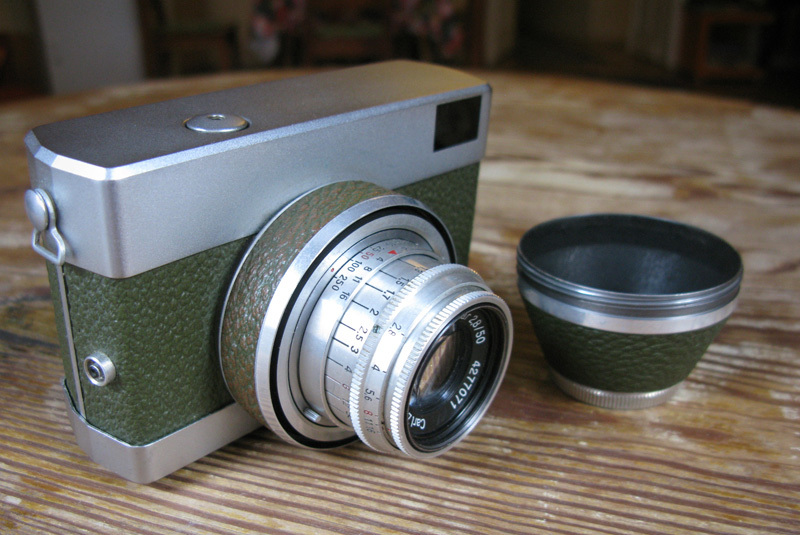 I can see how the Werra is more of a collector’s item but I really love the r050s002.jpg shot. Amazing! Funny, he, how often things not meant to be a certain way produce quite poetic results…like expired films… I found just let things happen sometimes to be a great way to make stuff…thanks for your post! Wonderful Wonderful pictures. Taking pictures is like food to me. LOVE it!!! Traveling and keeping smiles in my pocket, the best of times. 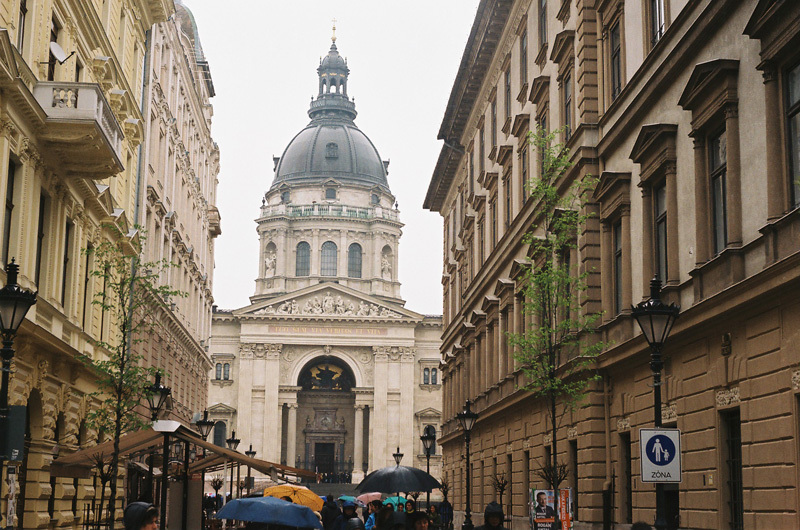 This location, Hungary, I had not idea it was that beautiful. Thanks for sharing your adventure! especially love the shot at the top. Beautiful! I would love to get my hands on one of these! Hi I just fond this on the internet. I have a Werra. One of the first ones. Not sure I want to sell it but if I do would you be interrested? Great find! I’m surprised at how well the shots came out considering the age of the camera and film; very well done!! There is something special about these cameras, their lenses and of course the photos they take… they seem to have more depth and character than digital…? The top photo really shows the potential of the lens… great feel to the photos and something 50s and 60s about them…? 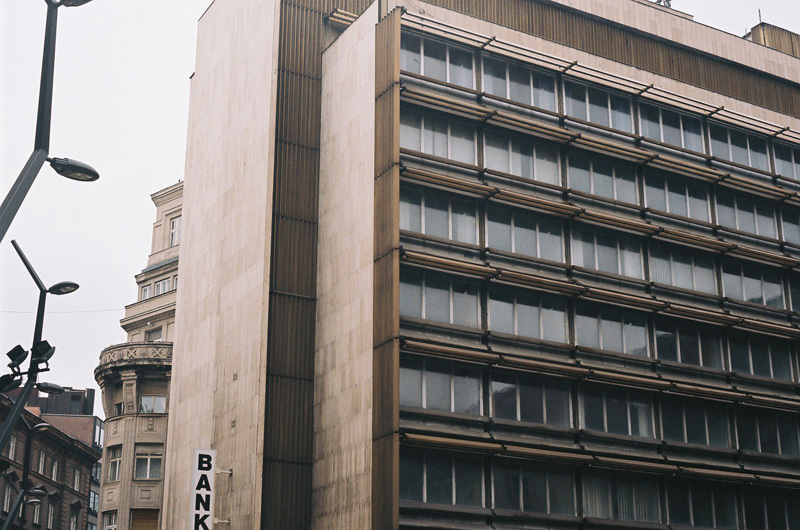 these photos give off a nostalgic kind of feeling. it’s as if they were taken years back, it’s amazing! 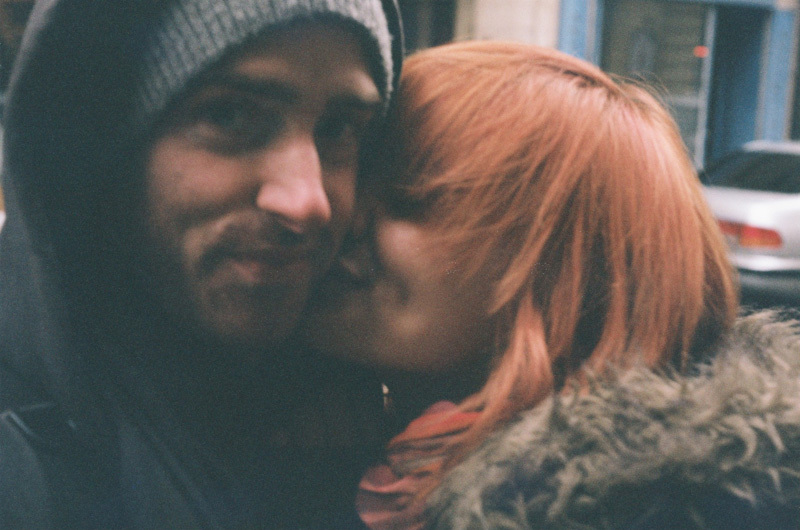 I have an old Ricoh that I use sometimes that still runs on film. I mostly use my DSLR now. Also, the other day, I astoundingly found an extremely old camera (looks like this: http://s1.hubimg.com/u/1253152_f260.jpg in my basement! It’s amazing how far technology has come. the shots are from an artistic eye…..
For an old camera, it took great pictures. 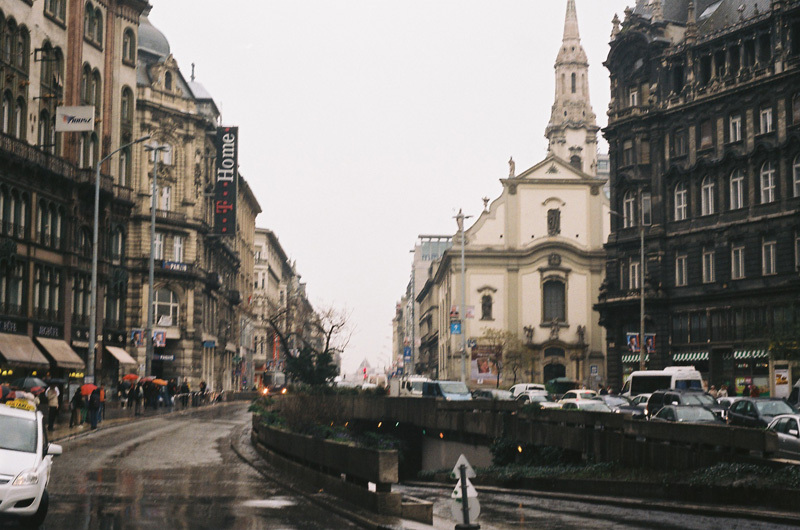 Your photos make me want to visit the city. 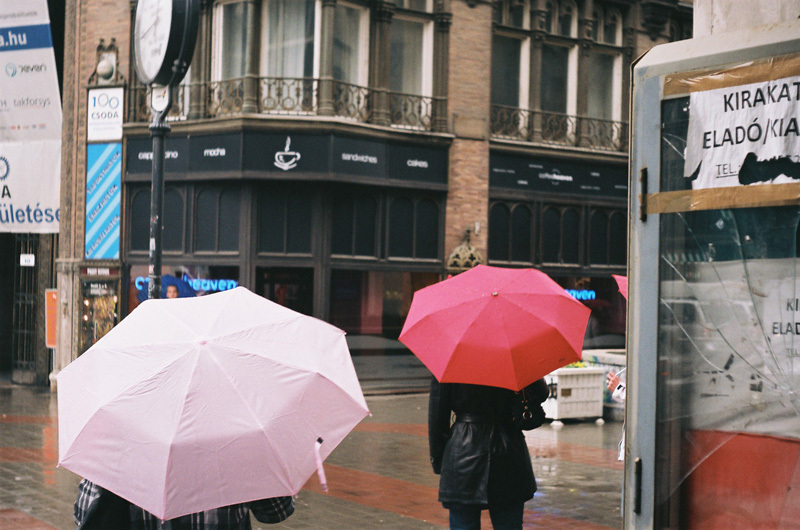 As much as I like my Nikon DSLR, sometimes, I miss shooting using film. Great! 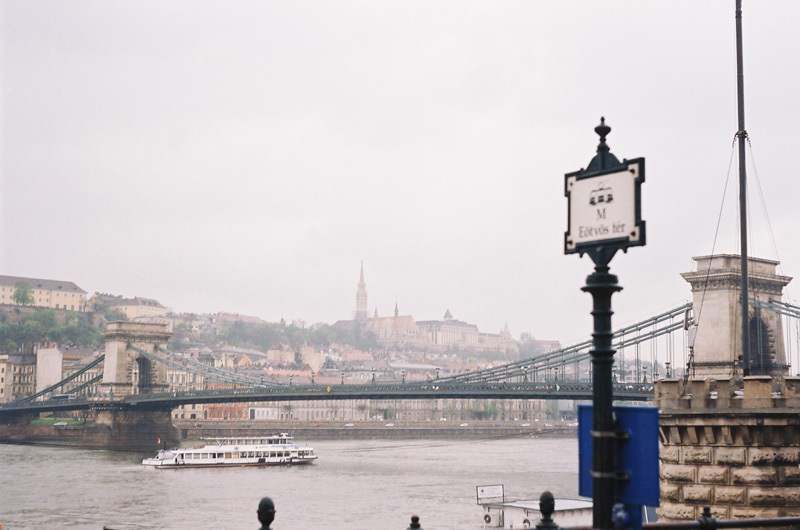 I was always wanted to go to Budapest and this post further ignited my desire. I always read your posts whenever I get an email of your new post. IT IS BEcoming a footprint for me when I’ll leave for my journey! I wanted to ask you tis: how do you manage to travel so much! does it cost a lot? I’ve seen your post of Lahore! that is dirt cheap. Even a local won’t be able to stay for that cheap. So I am wondering you get or manage that kind of deals everywhere? Did you try finding old cameras in Lahore? I own a Zeiss, circa l955, and just love it. Have not used it in some time, but it’s the camera I learned to shoot on, and I miss it! Digitals are fun, fast, and easy–but miss actually working with light, manipulating exposures, etc. Have never seen the model you bought. Very impressive! I’d say your camera’s lens is pretty hazy, but really that just adds to the character of your shots! good one! wow!! nice camera…. and beautiful pictures…..
Amazing pictures! Oh how I wish I were in your place right now. That looks like a place to just…. escape and be forgotten for a while. Nice pictures from an old style camera. belle machine, comme votre amie, je l’espère, vous ne vendez pas cet héritage, nous présente un Chilenito. This camera can compete the modern ones for sure, is of great quality although form many years ago. Nice photos too! Since I was about to buy a Werra. I ended up buying an Olympus Trip 35 and a Petri FT500. Great camera too. Now, the photos of this Werra are exceptional sharpness. 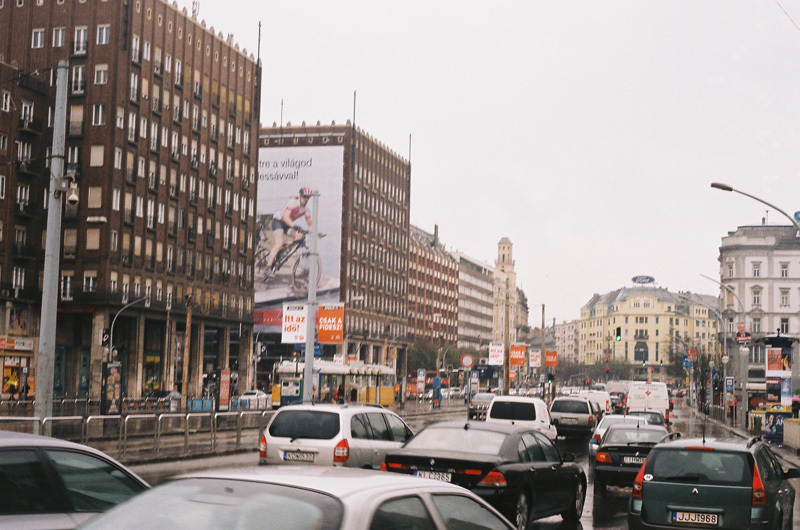 I LOVE Budapest. Great shots, esp of you two. I thought I’m the only guy left in the world with one of these Werras. Mine does not advance the film reliably anymore, a trait it unfortunately shares with my old Zenith. Your post makes me want to load up some of my expired stock film rolls (which I still keep in my fridge to my wife’s dismay and disbelief) in my old FE2 Nikon and head out there. The camera is a form factor I have not seen before. Your girlfriend is a cute. I loved this blog. Thanks! This kind of camera reminds me when my dad was taking family pictures whenever everywhere. I have had always Japanese cameras myself but what I have realized always is that more lens matters than camera itself. Certain Japanese camera manufacturers use Carl Zeiss lens as well. I recall photos taken with Japanese lens is fine but somehow there is some humanly kind of aura comes more from photos taken by Carl Zeiss or Leica lenses. Wow…BEAUTIFUL shots. What a great find! I kinda want one. I love vintage things because of their style, history and their modest capabilities. i never had a camera eversince hope i can have one.. 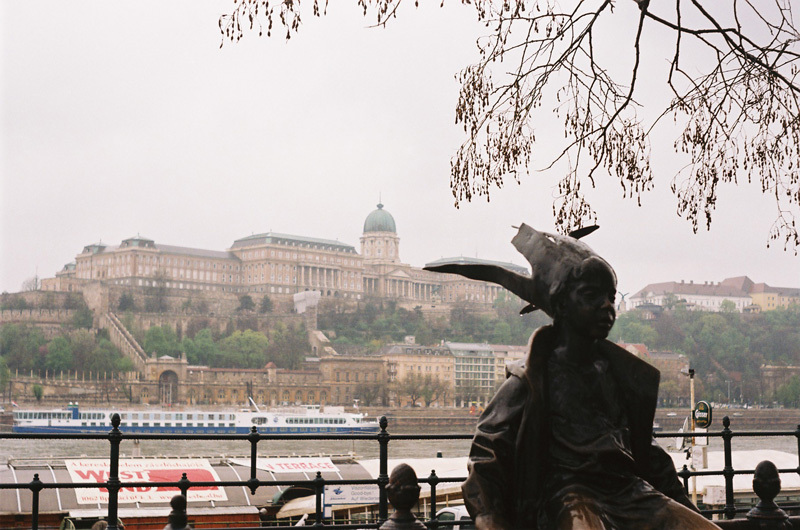 I have been to Budapest once and fell in love with the place. Your photos are a wonderful reminder! As for the camera… now I feel bad about missing the antiques fair here in Vancouver. Epic! Love what you are doing, love the photos! Must say you’ve taken some awesome photos 🙂 Just looking through blog and can’t wait to start my travelling again! What a great experience travelling through Pakistan, loved the hiking photos in the snow & was very interesting to see Chernobyl. You may not have heard but I’m going on the Trans Mongolian/Siberian Railway in July then onto Estonia, Latvia and across to Sweden for a couple of years. 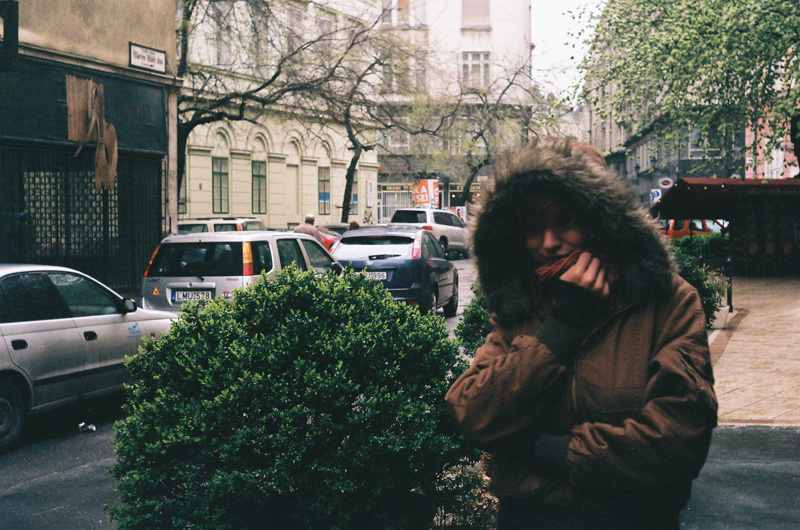 So might run into you over in Europe if your still backpacking around. Keep up the good work & stories. PS how good is the band In Flames! 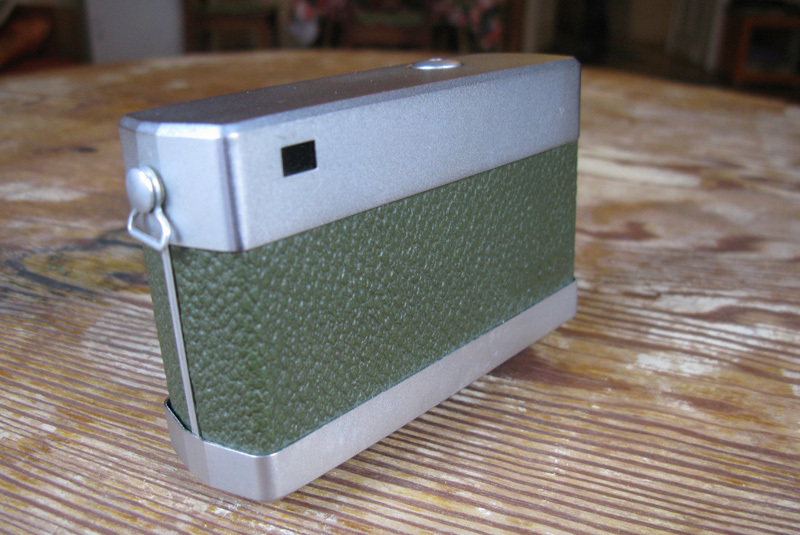 Two weeks ago been to the flea market in Budapest and got a Werra IV. It was in Ecseri market, quite outside the city but a huge one. hello! i just stumbled upon your blog, because my in-laws just gave me one of these cameras they had in their old home for years. i can’t figure out the way to load a roll in it! i know that the silver bottom must come out to load it, but how to i make it come out? do you have any info to help me? i can’t wait to try a roll on it, as well!